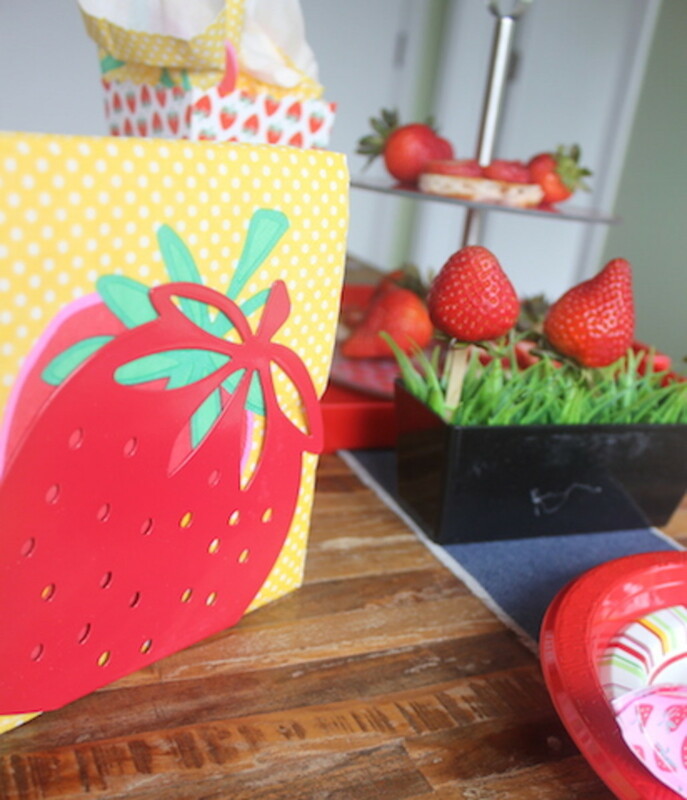 Summertime is the perfect time to have your little one&apos;s birthday theme be strawberries. With delicious berries abundant in stores, there are plenty of opportunities to use the fruit in creative ways. 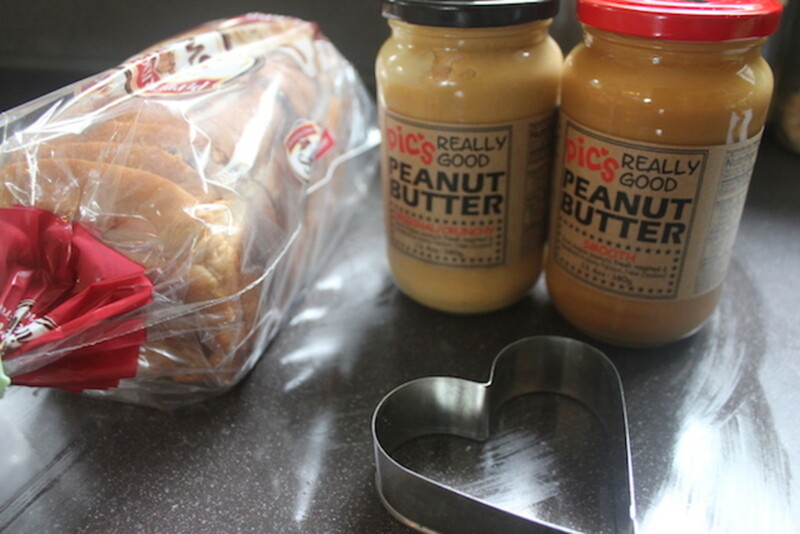 This cake platter from Flying Tiger serves as a tray for our strawberry and peanut butter hearts. This isn&apos;t any ordinary peanut butter, though. We used Pic&apos;s smooth and chunky types to create these adorable open faced style sandwiches. 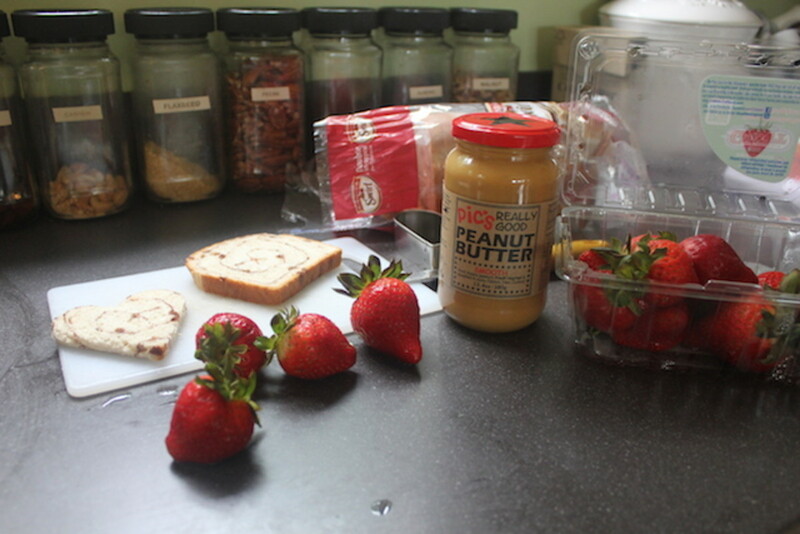 To make, we used cinnamon swirl bread, a heart shaped cookie cutter, the Pic&apos;s, and some fresh berries. 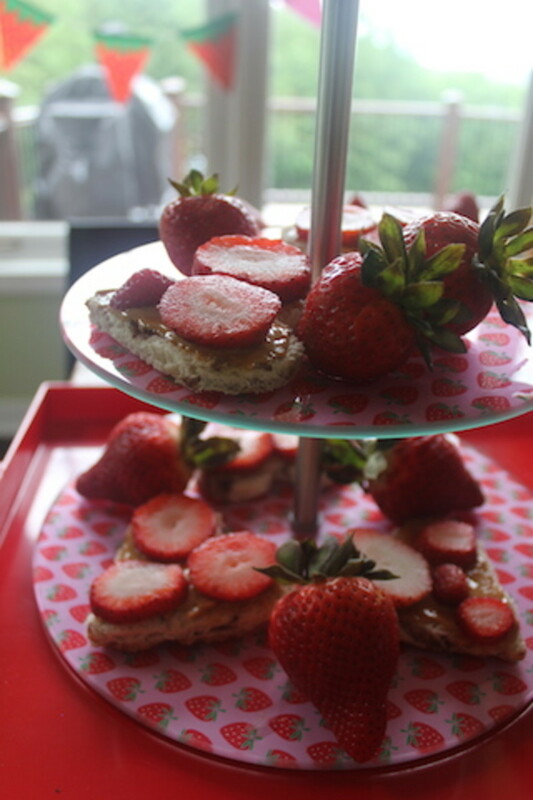 How perfect do these sandwiches look on the cake plate? 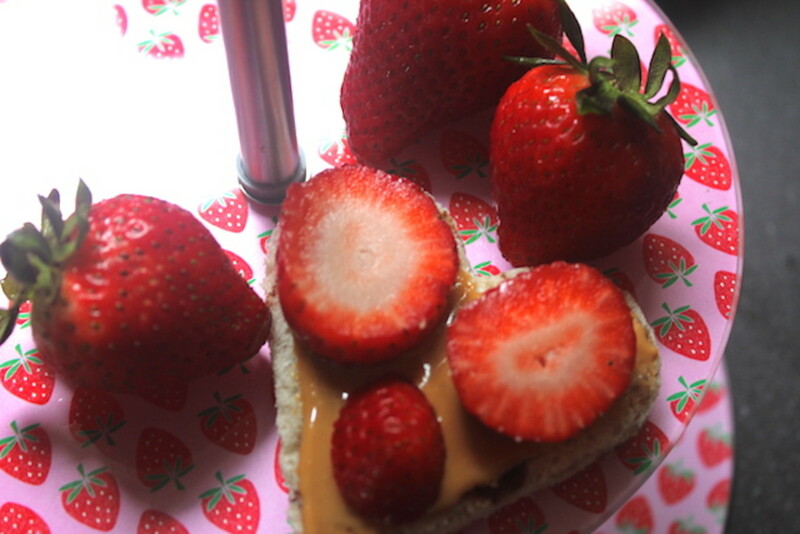 The peanut butter and berries are naturally sweet, but with the cinnamon bread it becomes a real treat. 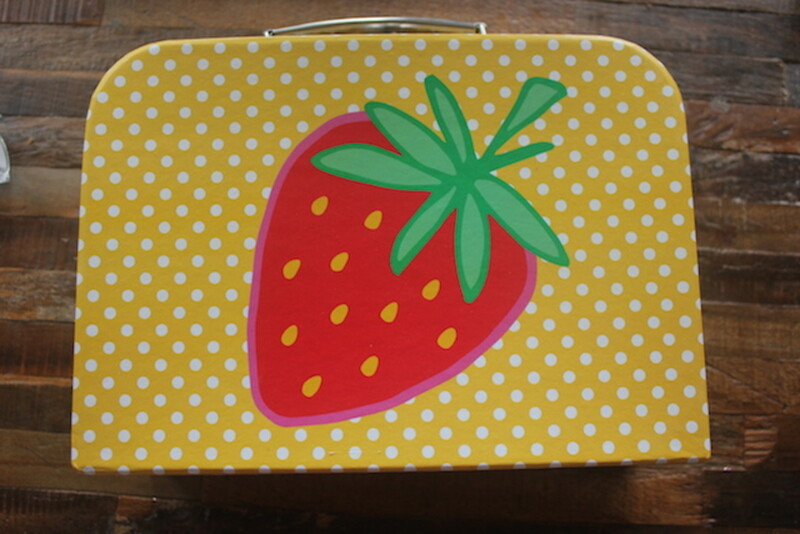 The strawberry printed boxes, also from Flying Tiger, were filled with popcorn. We stuck a strawberry napkin in first to soak up any excess oils. A grass toothbrush holder served as a fresh strawberry display. All we did was take some coffee stirs (obtained from our local coffee shop!) and stuck them in the tops of the strawberries. Then we were able to "plant them" in the grass. We put down this denim runner from Michael&apos;s so the focus of the table could be on the berries. A large red plate and a smaller plate with thematic colors were placed on top of one another. 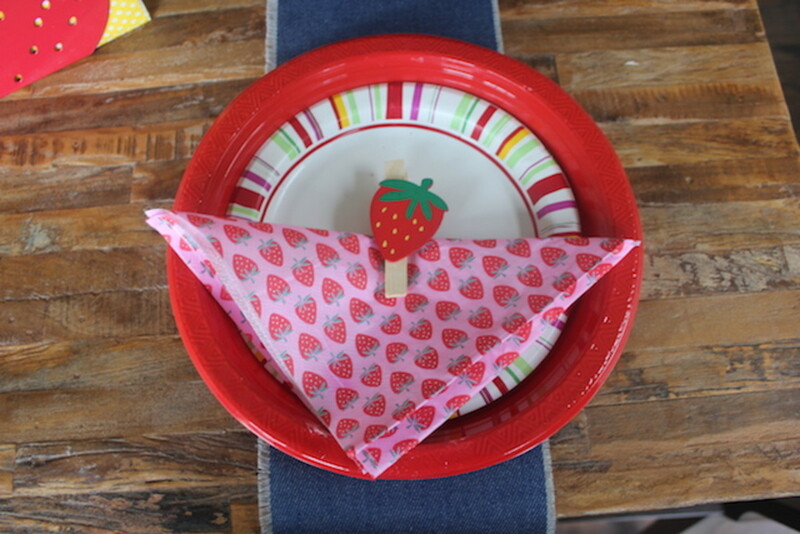 We found wooden strawberries and hot glued them to clothespins to complete the place setting with strawberry printed napkins inside. Instead of traditional name cards, we used a paper tag and some ribbon. Then we taped them on to fold out paper fans and attached them to each chair with some baker&apos;s twine. No party is complete without a goodie bag! We found these fantastic miniature strawberry paper suitcases. And then we filled them with all sorts of pink and red goodies! We stayed away from candy or anything with batteries. 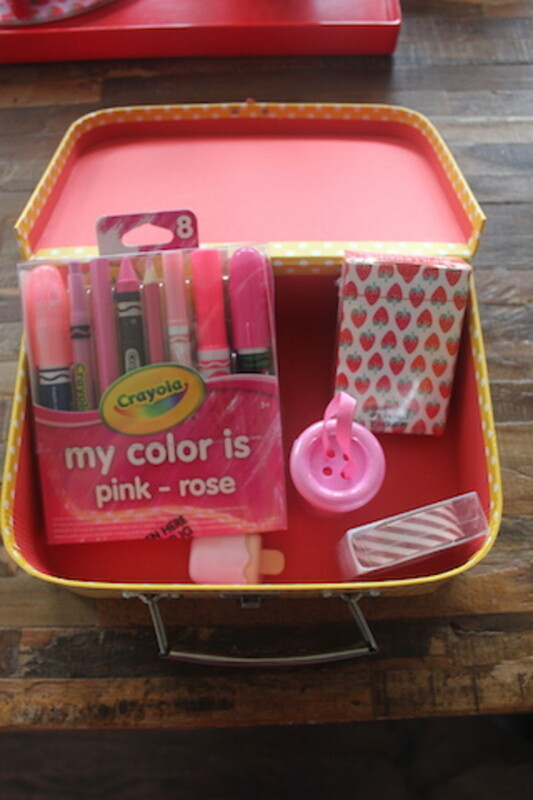 My Color Is Sets from Crayola are perfect for boys and girls. Since they come in every color (red, green, black, blue, you name it!) they are sure to be a crowd pleaser. We also found strawberry playing cards, red and white washi tape from Meri Meri, a canister of different sized pink buttons, and a super cute pink popsicle lip gloss. 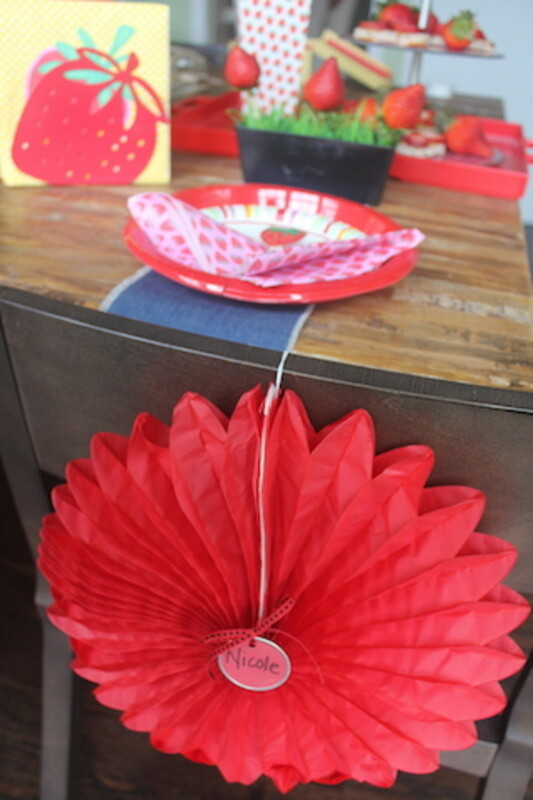 We hope you liked our ideas for a strawberry-themed party. For more party styling tips please subscribe to our YouTube channel!